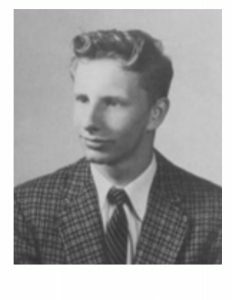 The following is a personal reflection from Dr. Michael B. Conant ’56 on the passing of his Williston roommate and close friend of over 60 years, Amos K. Hobby, Jr., PhD. Dr. Amos K. Hobby, Jr. died on August 18, 2016, just four days after his birthday. Both of us became psychologists in private practice, lived near each other, and had very close ties. His girlfriend told me that a day before his death, she started to read to him from The New Age book. Amos stated, “I don’t want anyone cramming that stuff down my throat.” She said to me, “That was Amos.” Absolutely. I’ll miss him a great deal. Donald J. Siclari CPA, 68, of West Haven, CT passed away peacefully on June 11th, 2015 surrounded by his loving family. He was born in New Haven, February 9, 1947, son of the late Pasquale Siclari and Helen (Conti) Siclari. 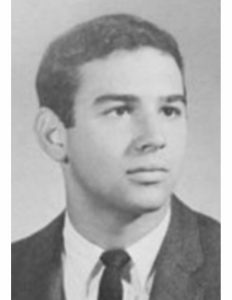 He leaves behind his devoted wife Phyllis (Lombardi) Siclari and 5 children, Donald Jr, Stephanie, Christina, Patricia and Dean Fradiani Jr. He is also survived by his brother Dr. Michael (and Lynn) Siclari of Providence, RI. Donald owned and operated his own accounting firm for 45 years and was involved in local politics and charitable organizations. He was frequently recognized for his outstanding community service. Donald was a passionate fan of the Boston Bruins, Boston Red Sox and Yale hockey and also coached youth sports. Nancy S. (DerGiragossian) Craig of Northampton, and a longtime resident of Amherst, died Monday, Feb. 6, 2017, after a short illness at CareOne of Northampton with her daughter by her side and Frank Sinatra playing in the background. Born Jan. 27, 1937, in Northampton, she was the daughter of the late Archie and Christine (Bodourian) DerGiragossian. 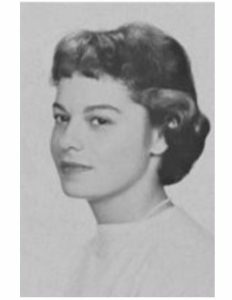 Nancy was a 1954 graduate of Northampton High School and also attended Northampton School for Girls, Holyoke Junior College and the University of Massachusetts. She was a 20 year employee of UMass, lastly with the Department of Environmental Health and Safety, retiring in 2007. Before that, she held a variety of administrative positions in and around Northampton, and had also worked in 1960s New York City for the Public Broadcasting System and the Young and Rubicam Advertising Agency. Nancy was someone who drew people to her because of her empathetic nature and her keen desire to understand the human condition. Everywhere she went, whether it was her favorite Trader Joe’s, Whole Foods or just on Main Street, she kindled interesting conversations and friendships with long-lost and new friends. She was known amongst family and friends for her creativity. A lifelong artist, she painted and sketched cityscapes and landscapes of Northampton and Amherst, memorializing sites such as St. Mary’s Church, Main Street, Northampton, the apple orchards of Atkins Farms, and the waterfall at Paradise Pond. One of her pen and ink drawings of pine trees was used in 1980 by the then Simon’s Rock Early College of Great Barrington, as its official holiday card. Additionally, Nancy wrote a column that reviewed and promoted various local businesses, “Consumer Carousel,” for her family’s 1970s regional magazine, Hampshire County Illustrated. She also used her creativity and people skills to assist her former husband, Paul Craig, in his bid for Mayor of Northampton in 1973. Aside from her love of art, Nancy was a free spirit who adored the beach. Annual childhood family summer vacations in Narragansett, Rhode Island, began this love, and in later years she was fortunate to spend many holidays in Jamaica. A jazz lover, she combined this with her love of an ocean setting by attending the Newport Jazz Festival when she could. In 2007, she explored the beaches of Sydney, Australia, visiting her daughter, son-in-law and grandsons, and snorkeled at the Great Barrier Reef. She is survived by her daughter Jennifer Craig Fletcher and son-in-law Thomas Fletcher of Sydney, Australia; four grandsons, William, Benjamin, Thomas and Theodore, also of Sydney; her sister Dawn C. Baker of Northampton; her brother William V. Derian of Deerfield Beach, Florida; her niece Christine D. Baker, M.D., of Northampton; her great-nephew Jay C. Anderson of Northampton; her former husband Paul M. Craig of Northampton; and several adored nieces, nephews, great-nieces and great-nephews of Maryland, Virginia and Florida. Miriam L. Shane, 84, of South Salem, NY, passed away on Tuesday, January 31, 2017. She was the loving wife of Mr. Arthur F. Shane. Mrs. Shane was born on September 9, 1932 in Berlin, Germany; a daughter of the late William and Margery (Tyler) Lind. A resident of South Salem, NY for the past 24 years since relocating from Pleasantville, NY, Mrs. Shane was previously a deacon at the South Salem Presbyterian Church. She was also a naturalist for the Teatown Lake Reservation of Ossining, NY. In her spare time, Mrs. Shane was an avid dancer and pianist and enjoyed exercise. Mrs. Shane is survived by her husband of 60 years, Arthur and their children: Hugh Shane and his wife, Miriam; Benjamin Shane and Jennifer Shane Medina. She is also survived by eight grandchildren: Nadine, Rebecca, Vivian and Hazel Shane; Juliette and William Medina and Dustin and Collin Shane. In addition to her husband, children and grandchildren, Mrs. Shane is survived by a sister, Carol Dickey. Robert A. Sunter, 85, of Palo Cedro, CA died on Monday, January 27th at Mercy Medical Center, Redding. He leaves behind his wife June and his daughters Julie, Lorie, and Jane. Geoffrey Angus Barnett, 63, of Chester, NH, passed away Saturday, February 4, 2017 surrounded by his loving family at the Catholic Medical Center, Manchester, NH. He was born in Clinton MA, on October 28, 1953, a son of Roger and Beverly (Davis) Barnett. Geoffrey was a Derry Firefighter retiring in 1996 after 17 years of service. Prior to his career with the Fire Department, he attended the Culinary Institute of America in New York. 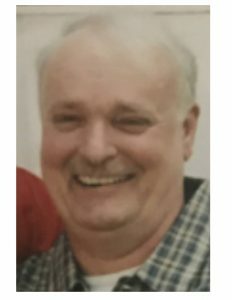 He was very active in his community, holding positions such as a trustee of Village Cemetery, a former Chester Selectman, a member of the Chester Volunteer Fire Department, and even being named Citizen of the Year. Geoffrey also loved to plow snow and assisted with the Chester Boy Scouts Troop 163. He was an avid fan of the Highland Games and fiercely proud of his Scottish Heritage. He is survived by his wife of 36 years, Roxanne (Cowley) Barnett, his daughter Jessica Mansur and husband Aaron, his son, Kevin Barnett and wife Shannon Barnett, four beloved grandchildren, Keira, Alex, Allison, and Kyle; two sisters, Alex Erickson, Amy Hinton, step mother Susan (Curry) Barnett and many nieces and nephews. Nancy Elwood Brown Cox, 91, formerly of Waterloo, N.Y., died peacefully in her sleep January 25, 2017 while in Hospice Care in Savannah, Georgia. Nancy was born on Feb. 11,1925 at home in Deposit, N.Y. to Charles Kimball, II and Ella Baird Brown. 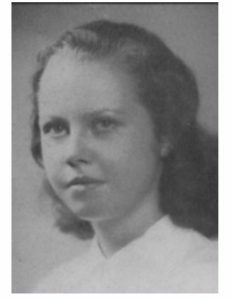 Nancy attended the Deposit Central High School, graduated in 1942, and then attended the Northampton School for Girls in Massachusetts. 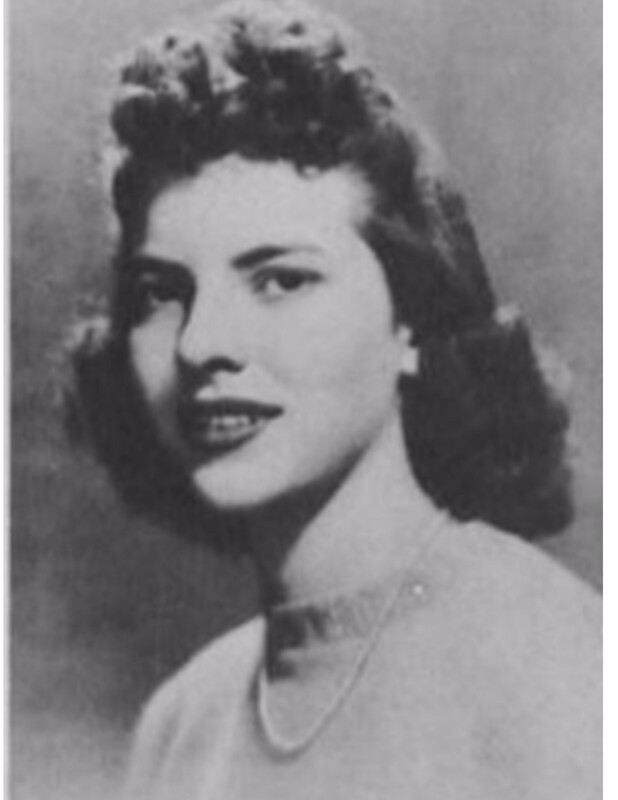 Nancy graduated from Northampton in 1943, continuing her love for theater and singing throughout her life, often as a soloist, especially enjoying variety show productions. Nancy attended The Eastman School of Music of the University of Rochester, N.Y. where she became a voice major, graduating with a Bachelor of Music Degree in 1947. While at Eastman, Nancy met Ronald A. Cox, of Rochester, N.Y., also an Eastman student. They were married Dec. 20, 1947 and joyfully celebrated nearly 69 years of marriage. Nancy worked summers in her father’s pharmacy. She also was a Lifeguard and Swimming Instructor at New York Herald Tribune Fresh Air Fund Camps in Bear Mountain Park. Upon college graduation, Nancy worked as a librarian in the Clifford Avenue Branch of the Rochester Library, and also worked as a “Gal Friday” for the Hayden Interior Decorating Company of Rochester, until her husband Ron graduated from Eastman. Nancy taught elementary general music for the Waterloo Public School system for 25 years, retiring in 1986. She furthered her education by taking summer courses for several years at Ithaca College, earning her permanent teaching certification. Nancy was an active member of the Waterloo Education Association. In 1981, Nancy received the Teacher of the Year Award from that Association. Nancy had a large studio of private piano and voice students over several decades and coached and prepared students to compete in NYSSMA Solo Festivals. She and Ron continued their private music studios for over 15 years after their retirement from public teaching. Both Nancy and Ron were instrumental in the development of the Bristol Hills Music Camp in Canandaigua, N.Y. serving as conductors, teachers, and advisors. Board of Elders of the Waterloo Presbyterian Church, chairing the Christian Education Committee, and was the first woman Chairman of the Property Committee. Nancy and Ron later became members of the Geneva Presbyterian Church. Community was important to Nancy, her activities included being a member of and holding offices in The Waterloo Research Club, and in Chapter Alpha Beta Psi of the National Cancer Sorority Phi Beta Psi. Nancy enjoyed volunteering for the Geneva Community Lunch Program, the Seneca County House of Concern in Seneca Falls, for which she served as a board member for several years. She and husband Ron co-founded the Red Jacket Chorale in 1985, continuing their love for music and sharing with the community. Nancy also often served as a rehearsal accompanist and as a soloist. Nancy enjoyed traveling with her husband Ron, and thanks to visits to her far flung children, she and her husband traveled up and down the Eastern Seaboard, vacationing in Georgia every February. Her European travels included trips to Germany, Switzerland, Czech Republic, and Austria. They enjoyed many family vacations on Fourth Lake in the Adirondack Mountains and annual reunions in Wiscasset, Maine with her three siblings and their spouses. One of their most enjoyable trips was to England and Scotland with Ron’s sister, Dorothy and brother-in-law, Richard Janicke to meet the English relatives of Ron and Dorothy. Their continued involvement with “Co. C”, Ron’s Army Unit, included travel for the reunions of the WWII Veterans of that unit. Nancy served as Secretary for the “Signal Aircraft Warning Company C” for several years and she and Ron organized and hosted a reunion in Seneca County, showing off the community they loved. Nancy is survived by her children Thomas (Kim) Cox of Conesus, N.Y., Margaret Chalker of Massena, N.Y., Robert (Kathy) Cox of Savannah, Ga., and Nancy (MSgt. (Ret.) Shawn) Fogg of Augusta, Ga..; grandchildren Christopher (Melissa) Cox, Colleen (Scott) Moquin, Colby (Melanie) Cox, Merrell (Loren) Fountaine and Colby (Melanie) Cox, Nora Cox, Sara Cox, Kelly Cox, Robert Fogg, and Abbey (Roger) Barnard and Matt Saxby; great-grandchildren Kendall and Owen Cox, Baileigh and Brendon Moquin, Mekayla and Alyssa Fountaine and Kadyn and Kamryn Cox; as well as her sister-in-law, Dorothy Cox Janicke; she was Aunt to many beloved nieces and nephews. Nancy was predeceased by her husband, Ronald A. Cox, (Aug. 18, 2016), her three older siblings and their spouses – Emily and Yerby Holman, Charles and Ellen Brown, Janet and Paul Seehausen and her brother-in-law, Richard Janicke. A very bright light in the regional theater world went out on January 26, 2017, when John Peakes slipped peacefully away at his home in Merchantville, NJ, surrounded by people who loved him, an undramatic ending to a wonderfully entertaining life. 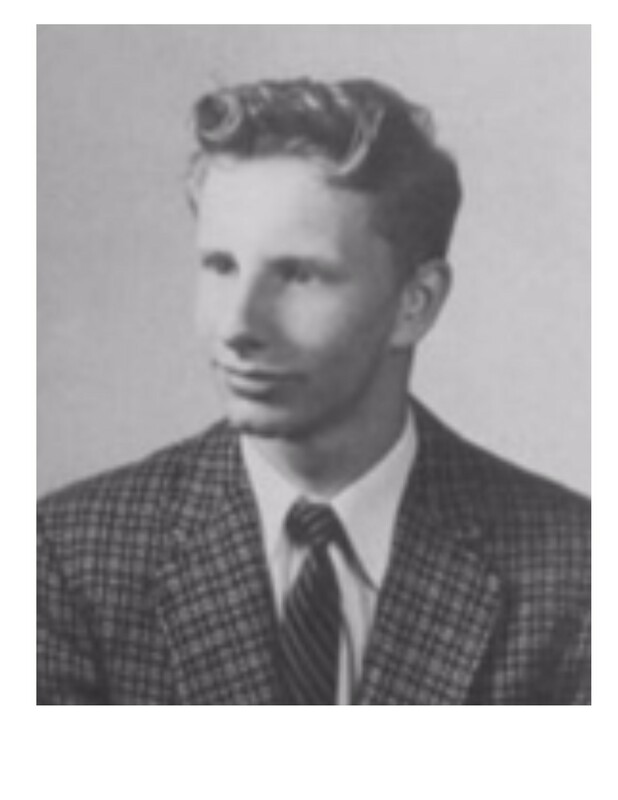 John grew up in Weston, MA, son of the late Herman Lawrence Peakes and Marion Jenny Chinn Peakes, and rascally younger brother of Doris (Kendall). He graduated from Williston Academy in 1952 and from Wesleyan University in 1956 where he joined Alpha Tau Omega fraternity. ROTC in college led him to service in the US Navy and colorful travels and adventures while serving his country. On a leave in NYC, he attended a couple of plays and realized that theater without a doubt was what he wanted to do with the rest of his life. So he did it. 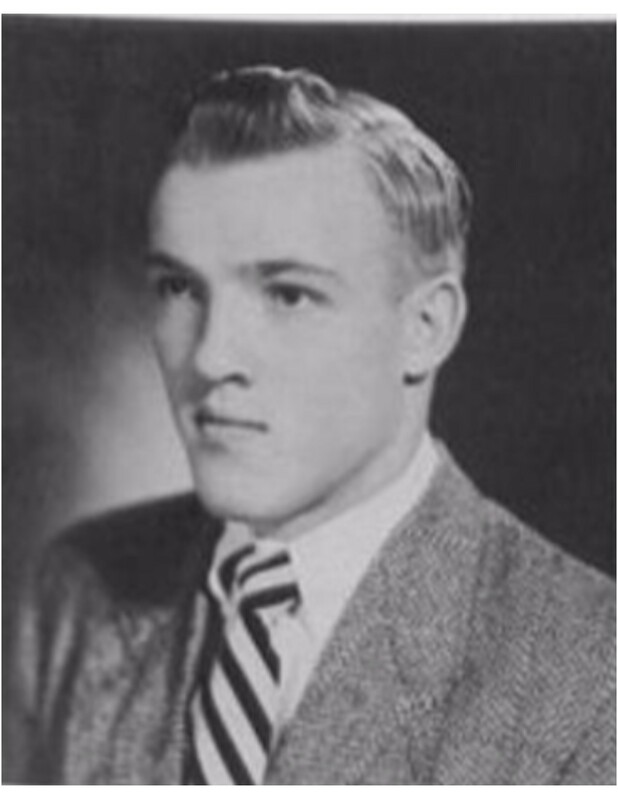 After his discharge as a Lieutenant JG, John attended the Boston Conservatory while teaching at Plymouth Academy commuting in a car so tiny, his students were able to pick it up and leave it on a porch roof. He moved to NYC where he worked in a couple of off-off Broadway shows but returned east to get his MFA from Tufts University performing and directing in many productions there before moving again to Iowa City to work on getting a doctorate in theater at the University of Iowa. Along the way he acquired his first wife Connie and their two sons, Jonathan in 1967 and Ian in 1969, three Siamese cats and a beagle named Irma la Dog. In Iowa they met Richard and Barbara Thomsen and decided to hell with those PhDs and moved to Michigan in 1966 to run the old barn summer theatre, The Ledges Playhouse in Grand Ledge. In 1970, the somewhat foolhardy decision was made to go year round first in a small church in Grand Ledge and finally in 1976 to the newly built BoarsHead Theater in the Center for the Arts in downtown Lansing, MI. Somehow, miraculously, it all worked. Over 300 productions later, many in which John either performed or directed, the little theater-that-could had earned strong community support and was a well-respected star in regional theater. Thomsen left for NY in the early 80s and in 1987, John’s second wife Judith became the BoarsHead’s indomitable Managing Director leaving John free to be Artistic Director and avid golfer. The pair won many awards including the Detroit Free Press Award for Life Time Achievement and the Michigan Governor’s Award for Art and Culture. They retired from their BoarsHead roles in 2003 and moved to Merchantville NJ just across the bridge from Philadelphia where John continued performing in several Philly theaters. His final performance however was back in Chelsea, Michigan at Jeff Bridge’s Purple Rose Theater where he played the old curmudgeon Norman in On Golden Pond with grace, humor, and great distinction. John himself was a strong and confident man and he brought to vivid life hundreds of unforgettable characters including Shakespeare’s Falstaff, Prospero, Hamlet, and King Lear, Dylan Thomas’s Captain Cat, and leading roles in Death of a Salesman, Waiting for Godot, The Lion in Winter, Who’s Afraid of Virginia Woolf and many, many more. John was predeceased by cherished son, Jonathan, who died in 1984. He is survived by Judith, his loving wife of over twenty years, Connie; his former wife of over twenty years; his son, Ian Merrill Peakes, an extraordinary actor in his own right; Ian’s equally talented wife, Karen (Krastel); grandsons, Owen Peakes and Carson Hunn; stepchildren, Amanda Hunn and Matt Gentry; sister, Doris Kendall; and a passel of charming nieces and nephews.